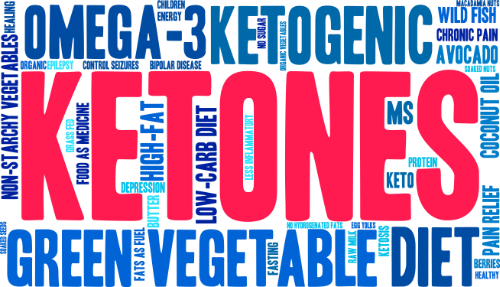 In order to understand exogenous ketones, it is important to first know what ketones are. Simply put, ketones are carbon based, organic compounds that are produced in the liver. They are used by the mitochondria within the body to generate energy and can replace glucose as s fuel source, putting the body in a state of ketosis. Exogenous ketones are ketones that are taken into the body as nutritional supplements. Endogenous ketones are produced in the body, specifically, the liver. Exogenous ketones are not produced in the body, rather are introduced into the body through supplements. It is designed to put the body into a state of ketosis which means that instead of burning carbohydrates for energy, it is forced to burn fat. When the body consumes foods that are high in carbs, it begins to produce insulin and glucose. Glucose happens to be the path of least resistance when it comes to energy conversion and usage, so the body will opt for that route before any utilizing other energy source. The weight loss occurs from a ketogenic diet is largely fat loss – particularly abdominal fat (visceral fat). It is visceral fat that increases the risk of heart disease, type 2 diabetes, and other health conditions. A ketogenic diet helps to reduce many of the risks of some of the most debilitating and even deadly chronic health conditions that are so prevalent today. Exogenous ketones provide a powerful supplementation to the diet, improving its effectiveness. A ketogenic diet is not a quick fix or fad diet; it is indeed a way of life. While many people do see very noticeable results quite quickly, the substantial health benefits that it provides make it worthy of a lifelong commitment. By adhering to this low carb lifestyle, you can reverse many health conditions and avoid others. In short, you will enjoy increased energy and better health for years to come.